Cultivating a massive online following has many benefits. Whether you are operating as an online small business or attempting to make a name for yourself, attracting relevant audiences to your offerings is essential in growing and promoting long-term. 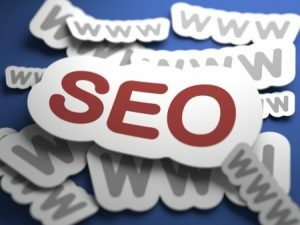 For many, the power of search engine optimization is too substantial to resist: by driving traffic to your website passively, you can avoid huge marketing expenditures. Yet many understand the inherent value that a presence on social media can provide in the short-term, whether through organic or paid means. Today, we’ll look at how you can combine the two and deliver tangible SEO results through social media efforts. While many people use both social media and search engines, there are different opportunities to reach new audiences in both. Brands that focus on developing an impressive social media presence can ultimately grow their brand audiences, reaching people who might find their content interesting – but who might never discover it in search results or elsewhere. As more people see your content on social media, the shares and interactions multiply. This can indirectly put your content in front of other influencers and brands who may find value in what it says or offers. This, ultimately, can help you start pinging users in completely different audiences when those individuals share or link to it. Additionally, the gains in links via content on other websites obviously help improve SEO performance. There are plenty of brands that get noticed first on social media, then elsewhere at a later date. For all of the people who may be seeing direct or indirect mentions of your brand on social media, brand recognition and familiarity is established. When they encounter your content via search engines or elsewhere at a later date, they instantly recognize your brand and become more likely to click, read, watch and/or share. By reaching more people via social media now, you can increase the percentage of people who’ll gravitate toward your search engine content at a later date. By earning more clicks, this can help further improve your rankings and deliver potent SEO benefit. Whether directly within your own niche or outside of it, social media is a relatively informal platform through which bonds and relationships can be made. It is much easier to initiate the steps of collaboration and interaction with other brands on social media than by “cold-calling” them via email or their website. Strategic relationships built around social media promotion can be more effectively harnessed than through the traditional strategies often used. However, these relationships can develop into ones that produce tangible benefits for all parties off of social media. Whether that leaves to complementary guest posting, link building or something else is entirely up to the partners involved, but all of these strategies ultimately help build better SEO outcomes for those involved. As it turns out, pinging users on social media can produce tangible SEO benefits down the road. Whether it is by earning rapport with various audiences or producing the foundation for cross-brand relationships, the benefits are worth the effort.